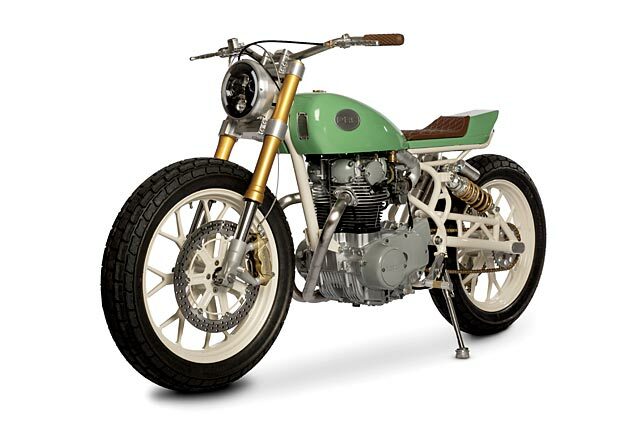 It’s no secret that loads of custom builders farm out elements of their builds. 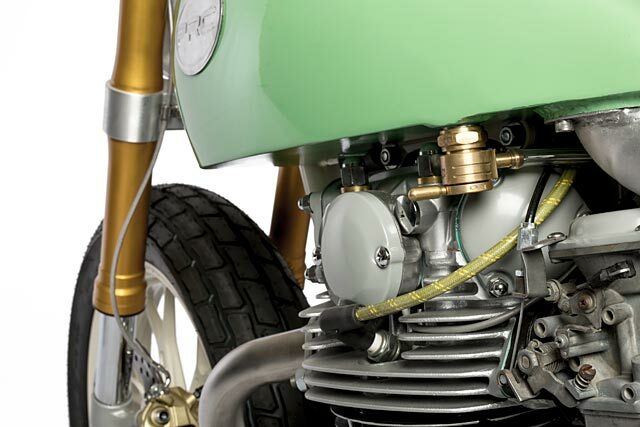 Often it’s the paintwork, sometimes it’s the wiring or even particularly swear-worthy moments of fabrication. But not Paul Miller. As head honcho of the small shop PanicRev Customs young Paul does everything himself. Everything. 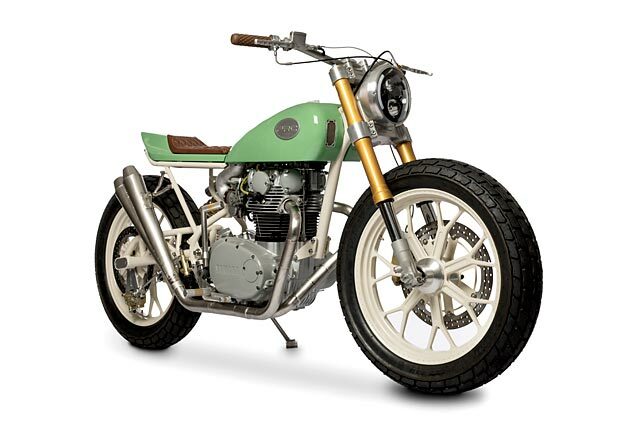 And he does a damn fine job of it too, as this XS650-powered, custom-framed street tracker shows. And he tends to think well ahead. Halfway through his last project he was already mulling over his next build, and he had a pretty good idea of what he wanted to make. 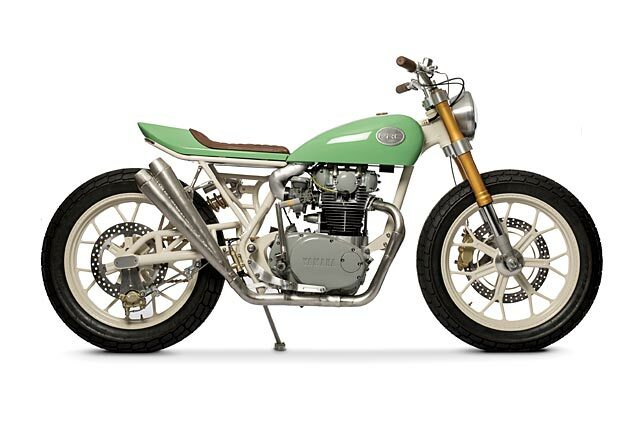 He was after a parallel twin to set up as a tarmac-carving street tracker. 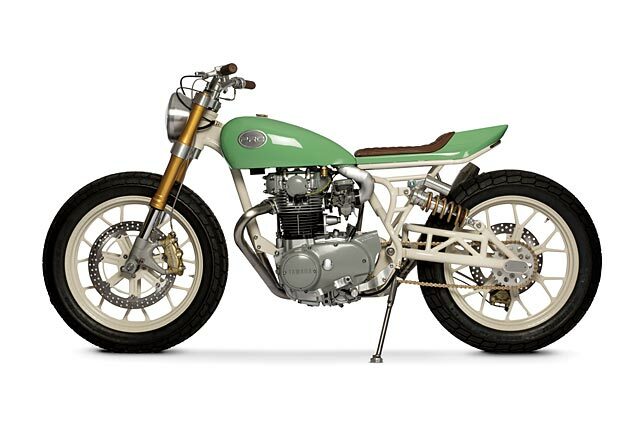 While glancing through some classifieds he came across an ad for a 1972 XS650 powerplant. ‘The day after that I was in my truck and driving three hours away to check out the engine,’ Paul says. ‘It turned out to be in good working order and it was very clean.’ While it sounds like it was all systems a-go the engine was put to one side in the shop while he finished other projects, but as soon as a gap appeared in his calendar, he struck. ‘I ordered the lengths of chromoly tubing for the frame and swingarm,’ he says. ‘And I also picked up some sheet aluminium – so that’s how the build started’. 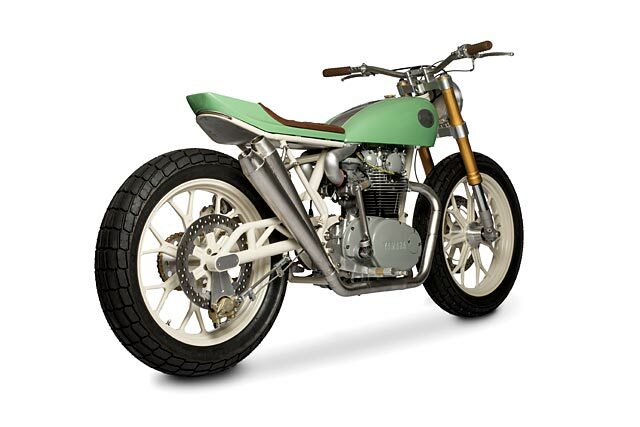 From those parts laid out on his workbench Paul designed and fabricated a bottomless, stressed-member frame and a trellis-style swingarm that runs a single rear shock. Then it was onto the bodywork. The tail section and svelte gas tank were belted out of aluminium. 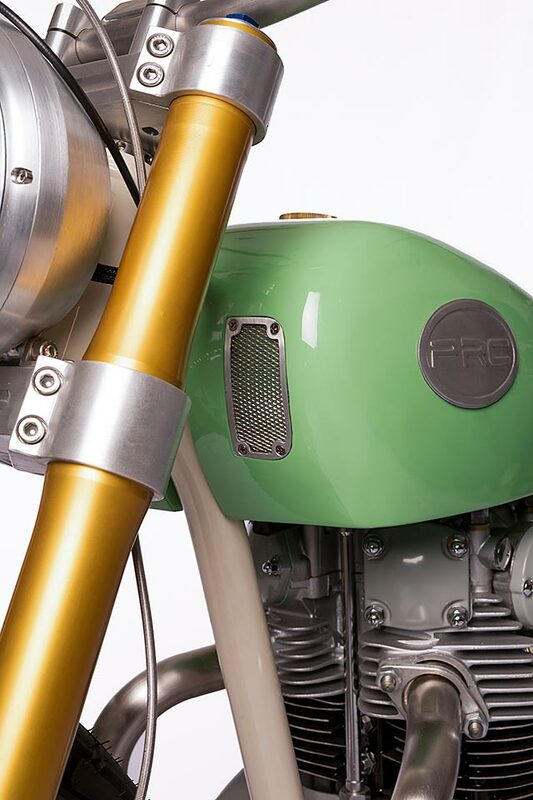 And that sleek tank hides of the coolest details of the bike – ram air intakes that run through the length of the tank and around the rear to the carburetors. According to Paul that was also one of the hardest things to get right. “All paint was done in-house as well. Mr Miller is making us all look bad”. And the custom work doesn’t end there. 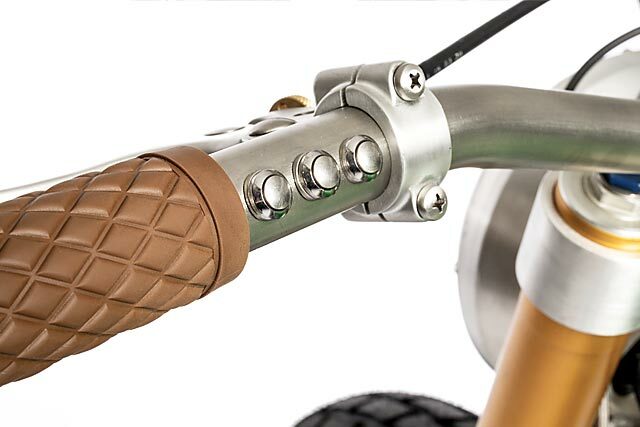 The bike is littered with excellent little touches that are the result of hours of careful, deliberate hard work. ‘Every bit of machining was done on a manual lathe and a mill,’ Paul says. And all paint was done in-house as well. Mr Miller is making us all look bad. Thankfully he did use a number of off-the-shelf parts to round out the build. 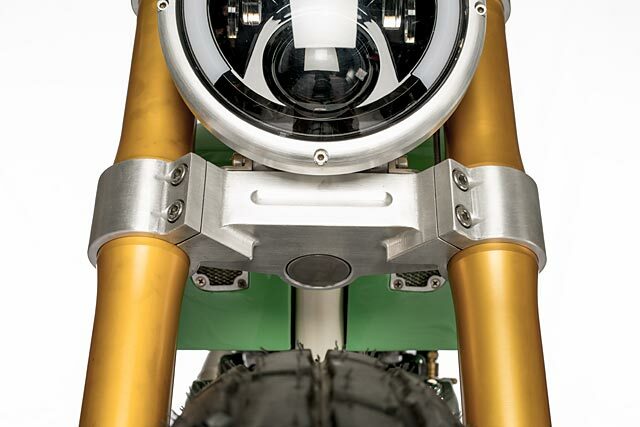 These include a pair of front forks off a 2008 Honda CB600RR (though he machined the triple trees on a manual bridge port mill himself) and a rear shock off a 2007 Yamaha R6. 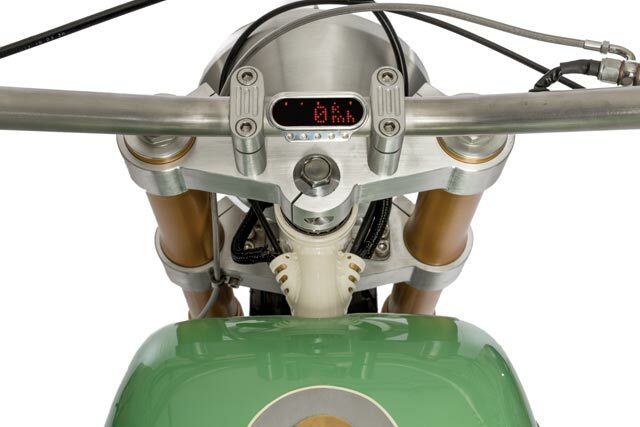 The rear brake comes from a Ducati M750 while the front was pinched from GSXR1000. But despite all these quality parts one of the neatest things on this build you can’t even see – all the wiring is tucked out of the way, guided by small brass inserts. Take a look at the front top of the frame and how neatly those guides sit. That’s attention to detail right there. All those elements – the amount of fabrication, the design of the bike, the combination of quality parts and myriad of incredible details littered throughout Ram Air 650 all go together to make one of the most distinctive, tidiest street trackers I’ve seen in a long time – a bike that is so damn clean it looks like a render. 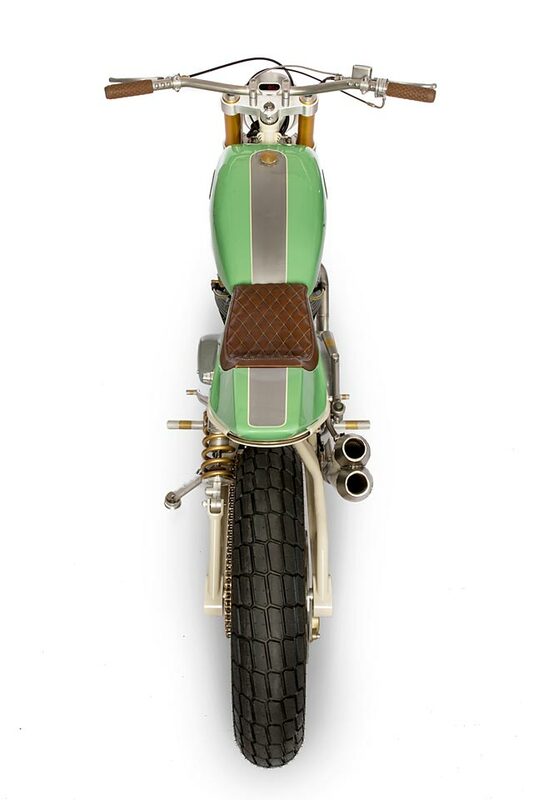 Why would you outsource any work when you can produce a bike like this?